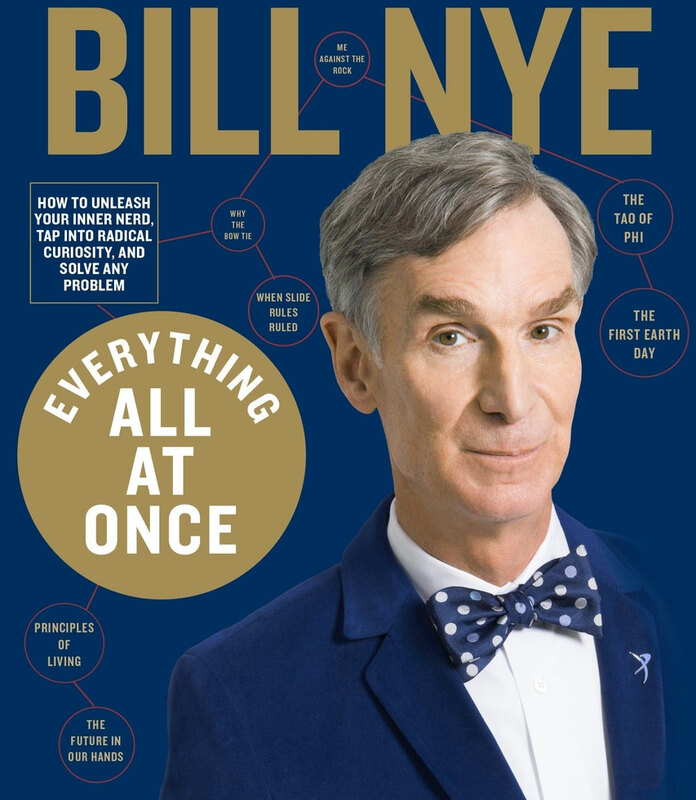 With Everything All At Once, New York Times bestselling author Bill Nye shows you how thinking like a nerd is the key to changing yourself and the world around you. Everyone has an inner nerd just waiting to be awakened by the right passion. In Everything All At Once, Bill Nye will help you find yours. With his call to arms he wants you to examine every detail of the most difficult problems that look unsolvable—that is, until you find the solution. Bill shows you how to develop critical thinking skills and create change, using his “everything all at once” approach that leaves no stone unturned. This is the story of how Bill Nye became Bill Nye, how he became a champion of change and an advocate of science. It’s how he became The Science Guy. Bill teaches us that we have the power to make real change. Join him in… dare we say it… changing the world.